It's becoming more common every day to hear people talking to their phones—and not to people on the other end of the line. Voice search is a newer feature for many of us; for marketers, it's also a useful tool that is changing the way we think about SEO. If you're not incorporating voice search optimization into your SEO practices, you might need to rethink that. By taking advantage of the opportunities now, you can give your SEO efforts the boost you need when you're struggling to climb to the top of the search engine results pages (SERPs). You may already be considering the benefits of voice search optimization, but who is your voice search audience, and whom can you expect to reach? The vast majority of Americans now use smartphones, and many of them are taking advantage of artificial intelligence (AI) voice search capabilities. You can expect, however, that many of these searchers are in the younger demographic. Around 92% of people age 18-29 own a smartphone. This audience is generally tech-savvy—they understand how to use these tools to their full potential. It doesn't end with smartphones, either. Many people are using voice search through Amazon Echo, Google Home, and other AI-enabled smart speakers to search for the answers they need. When reaching out to voice search users, they're not just seeking answers in a unique way: They're also asking their questions in new ways. Voice search is built to handle search queries differently. 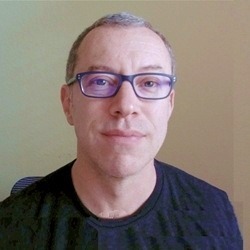 Tom Desmond co-founded the law-firm SEO company ApricotLaw. Since then, he has been helping law firms climb the ranks in Google and capture leads.